Here is a blog post I wrote 4 years ago about the timelessness of Chinoiserie design elements. My feelings on the subject haven’t changed a bit, so I thought I would share it again today. No doubt you've noticed the resurgence in popularity for all things Chinoiserie over the past few years, probably (sadly) to the point of oversaturation. I remain undeterred. I've loved Chinoiserie design elements for decades (seriously) and even though I'm disheartened to see it become so mainstream, I'm not ready to jump ship yet . 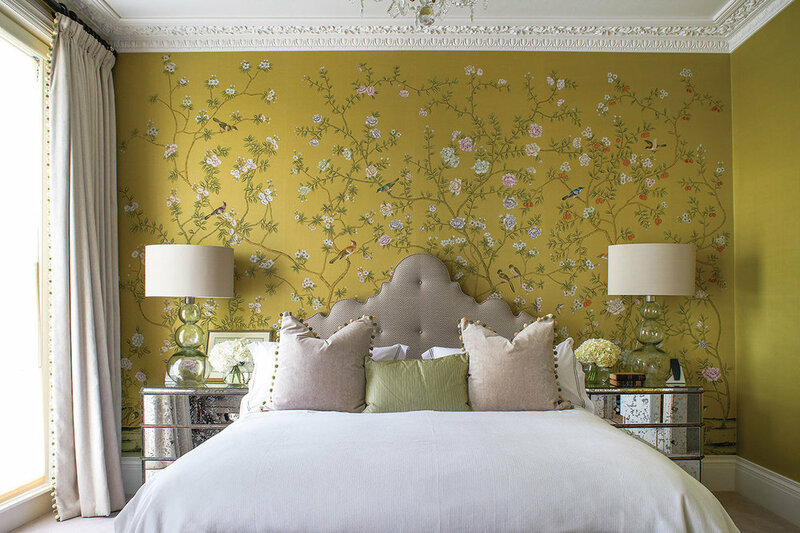 Here's why I think Chinoiserie has staying power. 1. Chinoiserie prints are nature inspired. Mother Nature has always been and always will be the greatest source of design inspiration. Period. So it stands to reason that if we continue to look to nature for design inspiration, then Chinoiserie prints and wallpapers will always be relevant. And couldn’t we all use a little humor in our lives? Can you even look at this without smiling? Here (above) Chinoiserie blends perfectly with the modern console and lighting. And below, Chinoiserie will always work perfectly with Classic furnishings and antiques! Chinoiserie mixed with Louis chairs below - and put together in a most modern way. 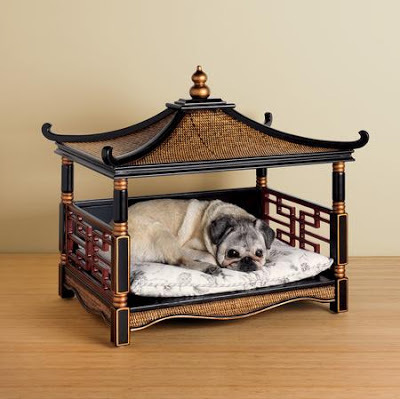 Pagoda bed is not for the faint of heart! The legendary Alex Papachristidis throws caution to the wind with an exuberant textile mix that is accented with whimsical Chinoiserie design elements. 5. Chinoiserie is timeless. We have been charmed by Chinoiserie for centuries and will continue to be for centuries to come. The bedroom belong belonged to Oscar de la Renta in 1983. Excuse the poor image quality below, but this Billy Baldwin room done sometime in the 1970’s demonstrates Chinoiserie’s staying power! If you’re in the Chattanooga and would like to live in timeless comfort and beauty, give Kim a call at 423.653.3186 . I’d love to hear about your project!